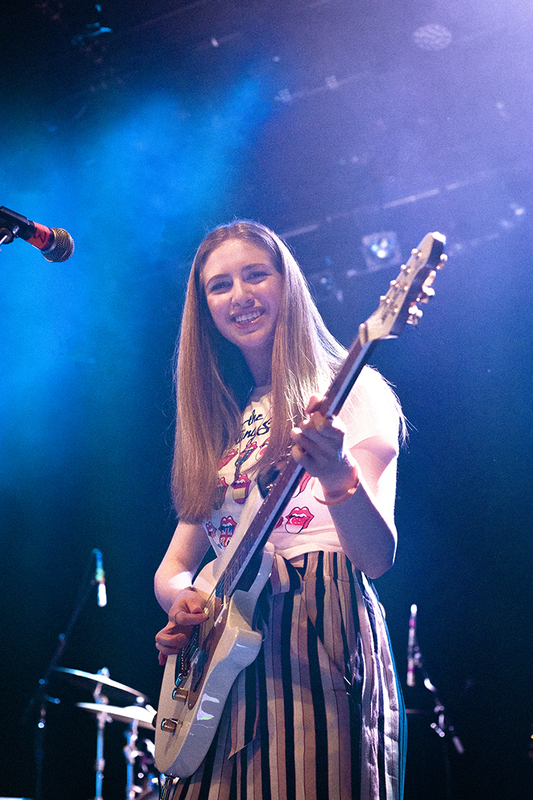 Vancouver’s Calpurnia show younger generations the power of rock’n’roll at a sold out Irving Plaza. The lights dim, the high-pitched screams start, and Finn Wolfhard, Jack Anderson, Malcolm Craig, and Ayla Tesler-Mabe strut out onstage. Wolfhard looks out into the crowd, and the friends smile at themselves almost in disbelief that all of those people were there for them. They want to live every second of that night fully, and as soon as the lights turn on, the show starts. Calpurnia kick off the night with “Wasting Time’, a single off their debut EP Scout. They follow the opener with “Greyhound”, a song about going to Seattle on the famous bus line to watch a show at The Neptune. 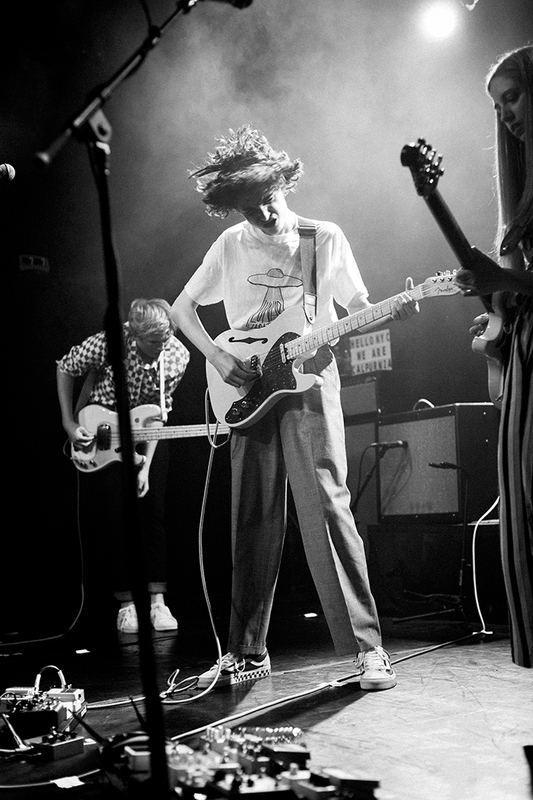 In a heartwarming moment, Calpurnia play their cover of “Wanted You”, whose video was Calpurnia’s first ever video posted on the internet, barely over a year ago. All members have been open about their love for the Chicago band. 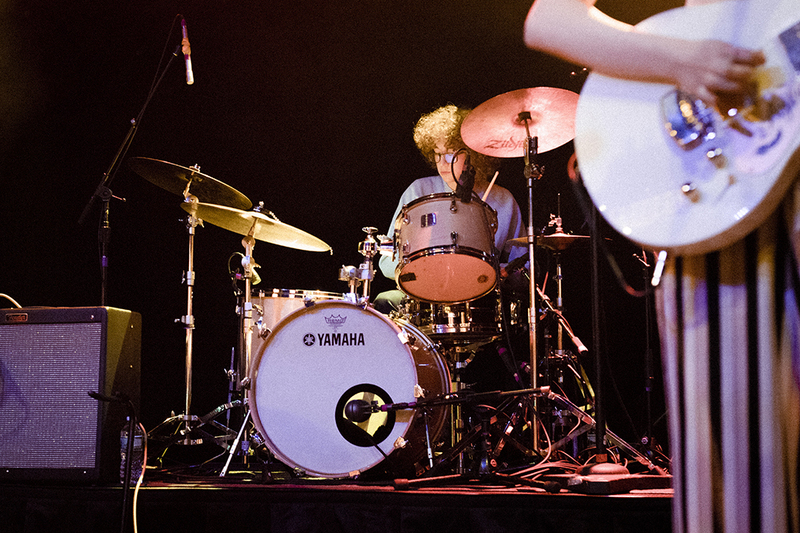 In a serendipitous twist of fate, Calpurnia then signed to Royal Mountain Records, home to Twin Peaks, and Cadien Lake James of Twin Peaks produced the band’s debut EP. 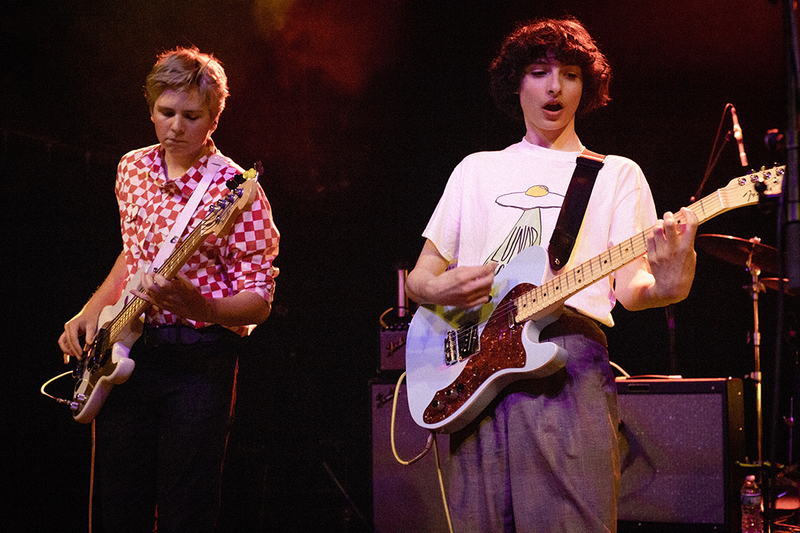 You would think that the band member who has almost 11 million Instagram followers and stars on what’s arguably Netfix’s biggest show would steal the scene onstage, but every second of their performance, Calpurnia prove that their recognition is well-deserved, and that they stand as a collective. They’re not Finn Wolfhard’s band, they’re Calpurnia. Every single member onstage is equally as important and talented as the next. The ensemble works so well that they all compete for your gaze. Tesler-Mabe’s guitar playing is jaw-dropping, at the age of 17 she can probably outplay guitar players ten years her senior. As she plays, a smile is normally is stamped on her face. 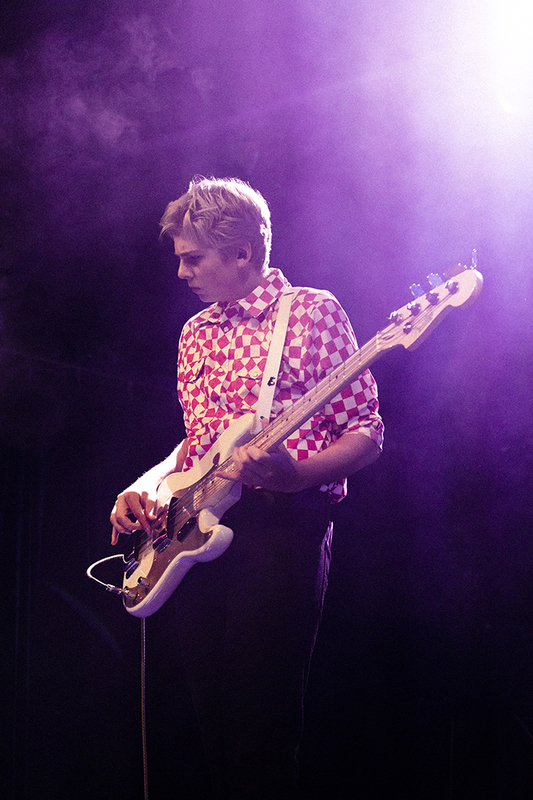 Anderson is electric while playing the bass, moving to the pulsating rhythm and being guided by his instruments. 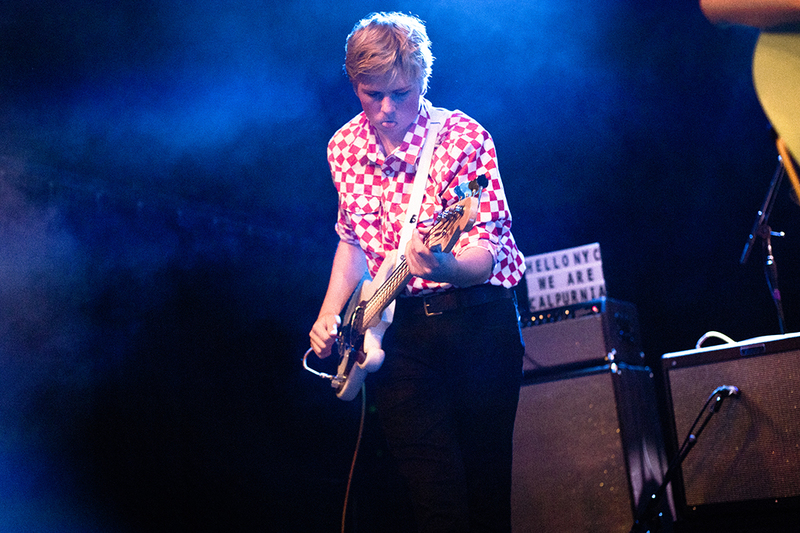 Craig, despite being stuck to the drums behind his fellow band members, radiates good energy and keeps the band’s pace, interacting with every one of his band members. 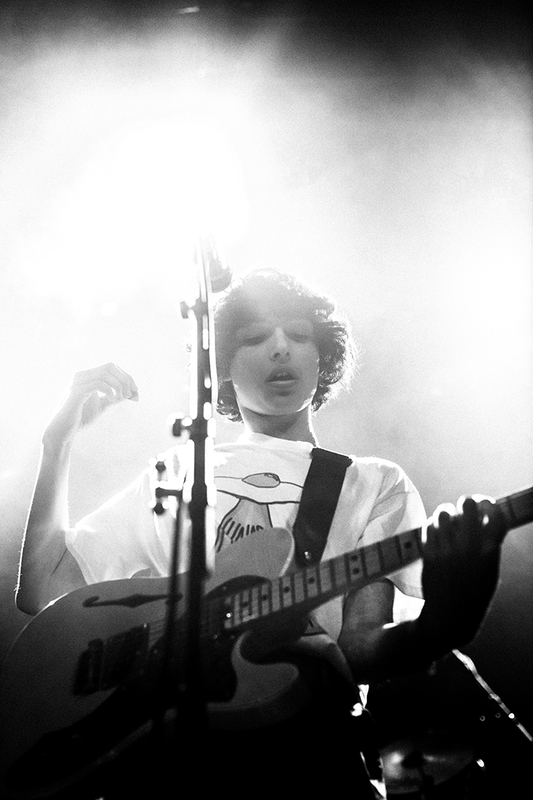 Wolfhard shakes his curly mane almost throughout the show, and jumps from side to side whenever he’s not glued to the mic singing his heart out with a growly, raspy tone. 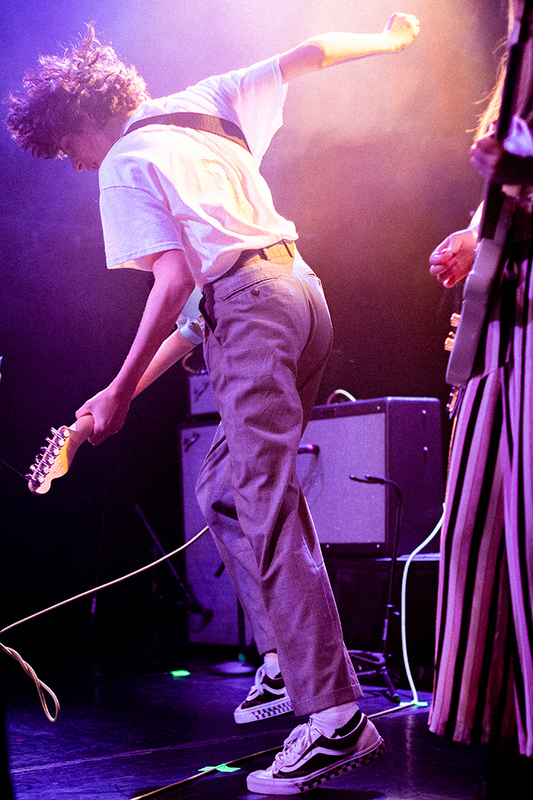 Calpurnia teased new songs, all of which are happily welcomed by the crowd who latches on to every word and are at least trying to mumble along to the never-before-heard chorus. 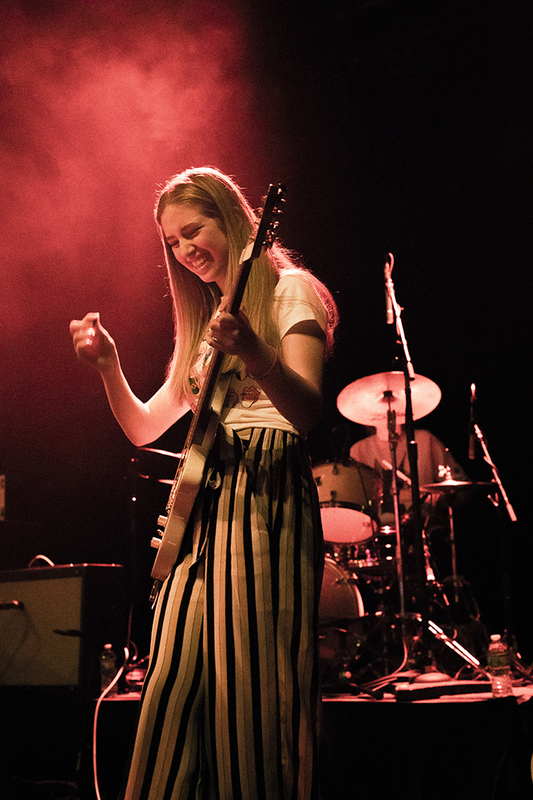 To close their set, Calpurnia change the dynamics with the slower “Waves”, in which Tesler-Mabe takes the lead on vocals. Her mature and honey-coated voice blends beautifully with Wolfhard’s, who provides backing vocals. They step offstage and almost instantly the crowd cheers them back on. They return and deliver a beautiful rendition of The Beatles’ “Don’t Let Me Down” before closing the night with debut single and hit “City Boy”. 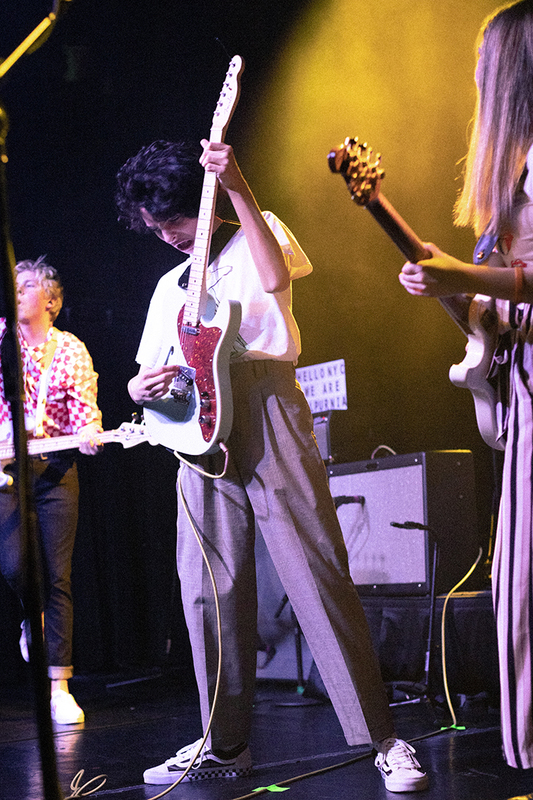 Pre-teens, adolescents and adult chaperones alike danced and sang along to every song, proving that regardless of its members’ young ages, Calpurnia makes timeless rock music. They’re not a momentary trend, Calpurnia have the chops and ambition to go extremely far, especially considering there’s only room for improvement as they grow and develop. Thanks to their classic rock-filled upbringing and love for bands like The Beatles and The Velvet Underground they’re here to show younger generations what the world’s greatest bands once sounded – and may sound – like.